Hi guys. So, if you’re a fan of free things, then you and I have something in common. 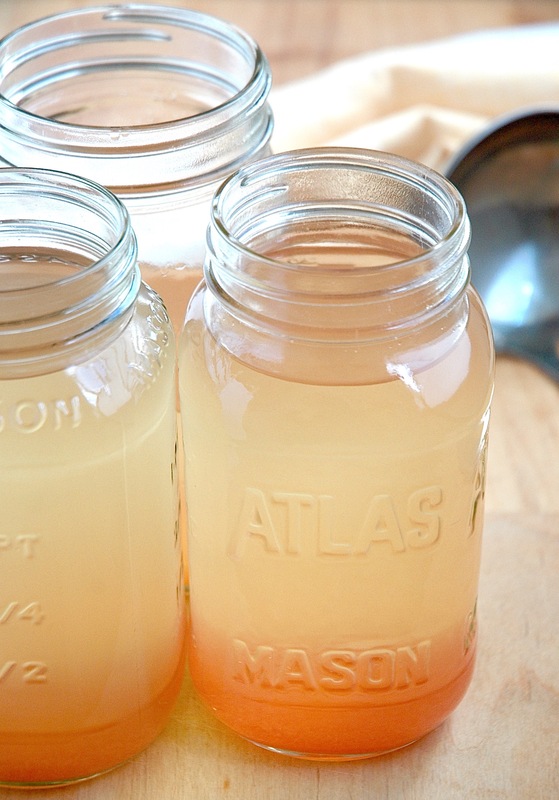 It’s both easy and cost-effective to make your own vegetable broth at home. Not just cost-effective. 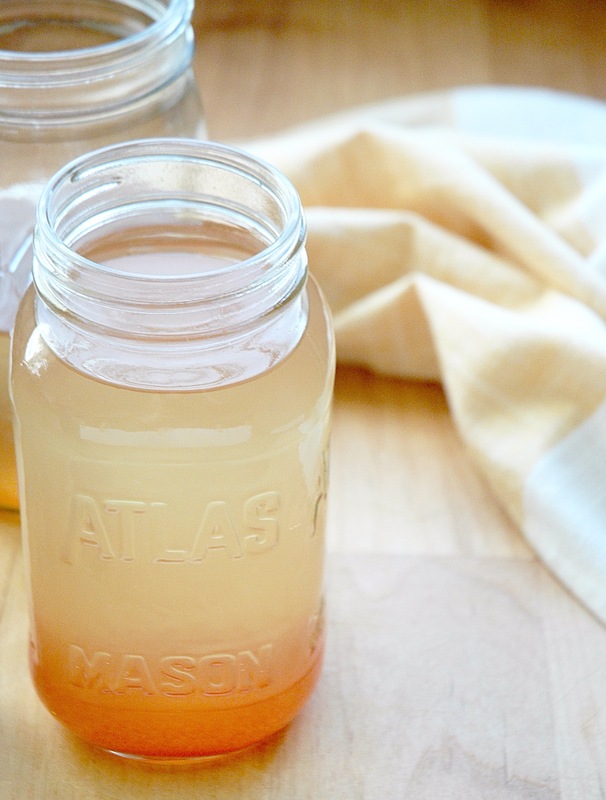 This homemade vegetable broth is virtually free. AKA you are not buying any special ingredients for it. I mean you can if you want to, but you absolutely don’t have to. It will still come out amazing every time. Okay, okay, I mean sure, you are paying for the water and electricity to cook it, but that’s it. Compared to the store-bought boxes, it’s a big savings. When you cook at home often, you’re going to have bits and pieces of produce that you don’t use in your recipe and will inevitably be discarded. Well, today, I’m going to let you in on an amazing secret. What’s the secret, Lauren? Ooh, ooh! Please do tell! Okay, I’ll tell! So, instead of discarding those garlic peels and green onion ends, I throw them into a container in my freezer. Once the container is full, I take everything out, put it into a big pot and cover it with water. Cook over low heat for an hour and after that it’s ready to go. I remove the cooked veg and pour that delicious liquid through a fine mesh strainer into an airtight container so it’s easy to store. That’s it! And I’m left with the most amazing vegetable broth around. 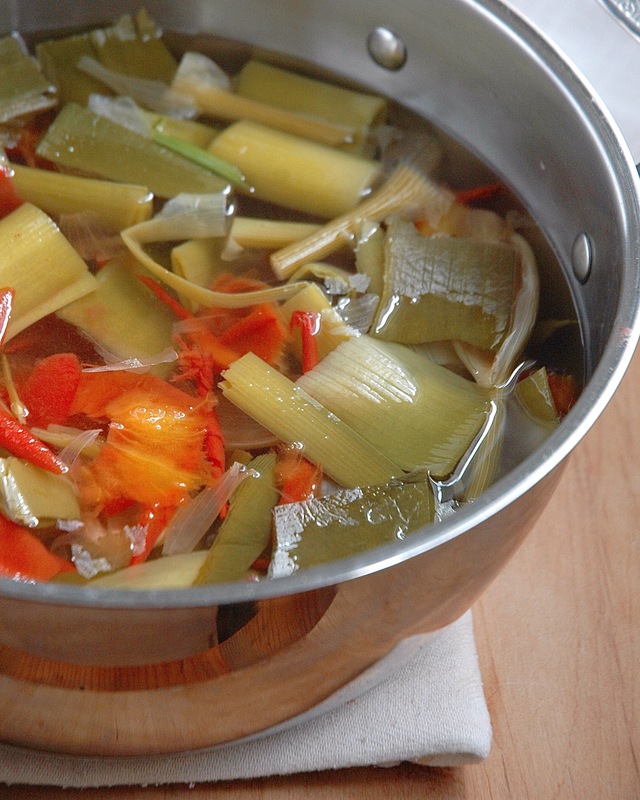 You can even make this vegetable broth while you’re cooking something else. Have chili simmering away for an hour on the stovetop? Why not cook some broth at the same time? You can probably also cook it in a slow cooker, then you can really set it and forget it. I don’t have a slow cooker though so I haven’t tried it that way. 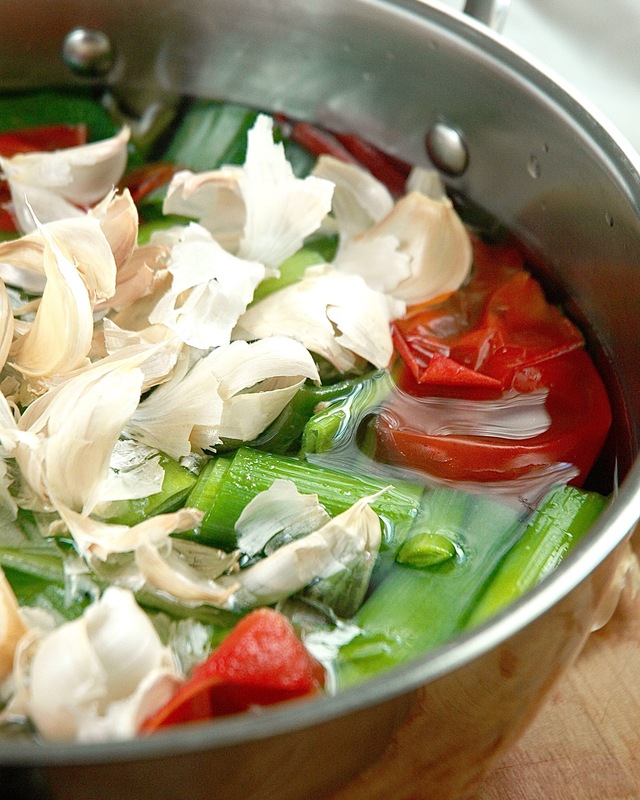 What Scraps Can be Used for Vegetable Broth? 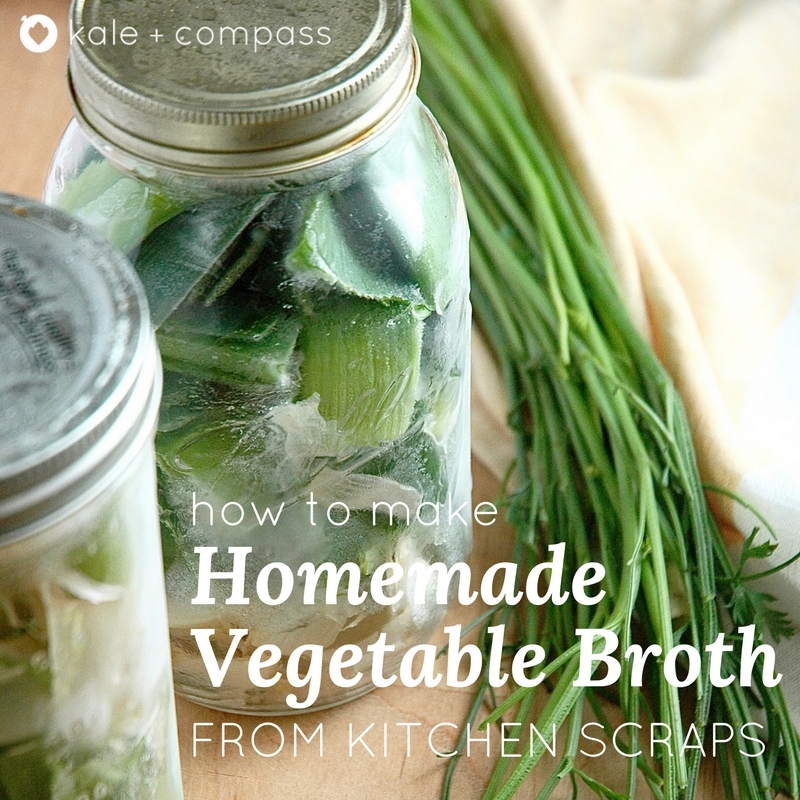 You can use just about any veggie scraps you want in the broth, whatever you usually cook with and have on hand. Just make sure they’re clean before you store ’em. Then, when you’re ready to make your broth, you just need to throw them into a pot and start cooking. I do avoid using onion skins and cabbage though, because I’ve heard the former turns your broth brown and the latter is a very overpowering flavor. Also, and maybe this is just me being the complete food nerd that I am, but I think it’s kind of neat to pull those scraps out of the freezer and see what I’ve been cooking with over the past month(s). It’s like a little frozen flavor time capsule each time. Yep, nerd-level pushed over the edge just now. Don’t care! The scraps will keep in your freezer for at least a month, probably longer, and cook up just fine in a broth. With this method, your broth is always going to be slightly different in flavor but it’ll be delicious every time, I promise. 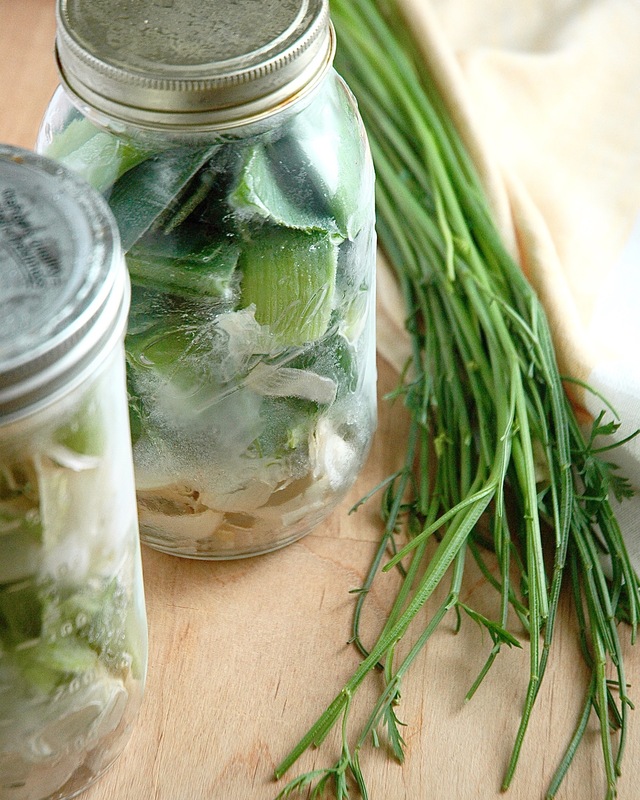 Step 1: Gather your frozen vegetable scraps. Step 2: Add scraps to a large pot and add enough water so that they’re covered and you can easily stir. Step 3: Bring broth to almost boiling over high heat. Once bubbling starts, turn heat down to low and cook for 1 hour. Step 4: Remove from heat and strain broth into containers through a fine mesh strainer. Step 5: Enjoy! 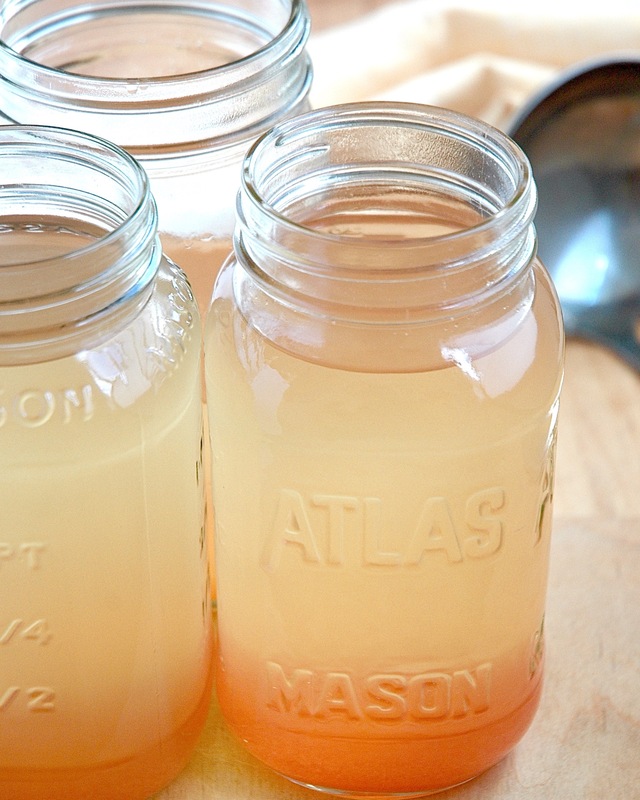 Broth can be stored in the fridge for up to one week or in the freezer for at least a few months. So, next time you’re thinking of tossing those carrot ends or fennel fronds, don’t! 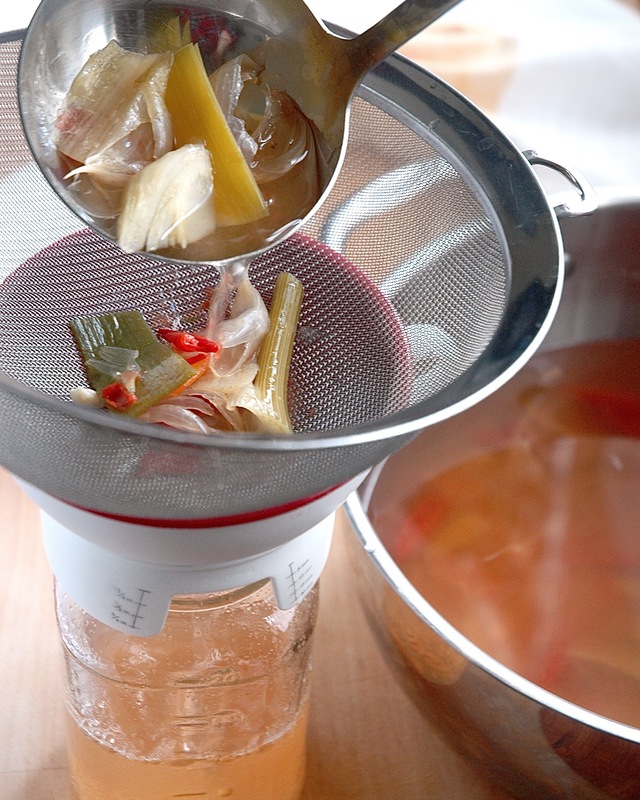 Save those suckers for a delicious vegetable broth made right at home (for free). 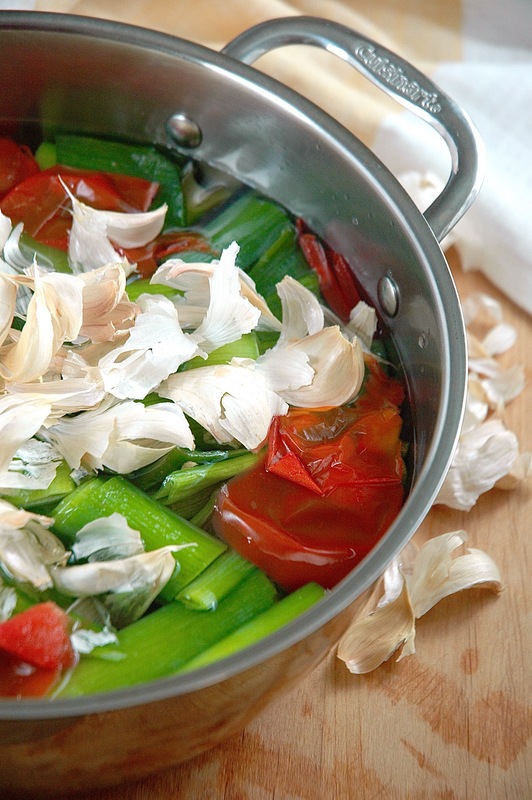 What's the easiest way to make vegetable broth at home? From your kitchen scraps, of course! It's delicious and extremely cost effective too. 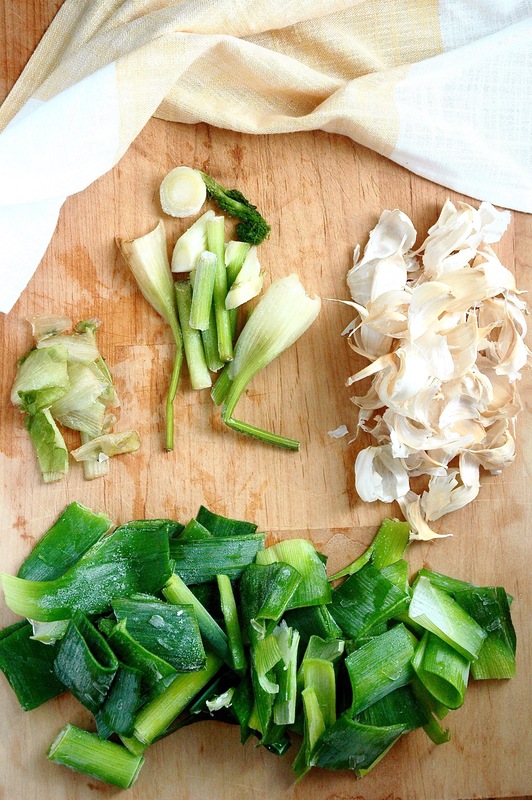 Add clean vegetable scraps (such as fennel ends, the dark green parts of leeks, tomato peels, garlic peels, etc.) to a large pot and cover with enough water to be able to easily stir. Bring the pot to close to a boil over high heat. Once bubbling a tiny bit, turn heat down to low and cook for 1 hour. Remove the broth from the heat, discard large veggie pieces and strain the liquid through a fine mesh strainer into airtight containers. Broth will keep for at least a week in the fridge, and longer in the freezer. If freezing, make sure to use freezer-safe containers.